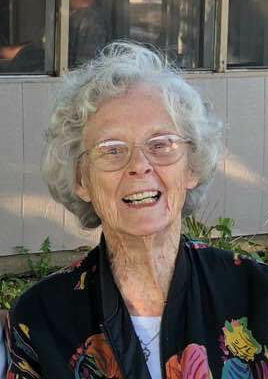 Charleene Marie “Char” Crall, 90, formerly of Dubuque, Iowa and Linden Acres , Lake Delhi passed thru Heaven's Gates on February 7th, 2019 in Florida. Mass of Christian Burial will be at 10:00 a.m. Wednesday, February 13th, 2019 at St. Raphael Cathedral with Rev. Gregory Bahl officiating. Burial will follow in St. Patrick’s Garryowen Church Cemetery. Visitation will be from 3:00 p.m. to 7:00 p.m. Tuesday, February 12th, 2019 at Leonard Funeral Home & Crematory, 2595 Rockdale Road where a wake service will be at 3:00 p.m.
Charleene was born on June 5th, 1928 in Cascade Iowa the daughter of James and Mildred (Kennedy) McMahon. She grew up in Chicago and graduated from Chicago Art Institute. In 1951 she married the love of her life Thomas Crall. They lived and traveled to several states and countries with Tom’s job. He preceded her in death on July 14, 2003. She loved her God, the ocean, Lake Delhi, doll making, ceramics, painting, garage and estate sales, her animals and playing games. She also enjoyed time with her Delhi Ladies Club and the Red Hats Club; and was very proud of her Irish Heritage. She is survived by her son Christopher; two grandchildren; special niece and Godchild Deb (Joe) Cotter with whom she wintered in Florida. Niece Tammy (Gary) Parton; nephews Bill (Kathy) Purvis, Michael Purvis. Jerry (Deb) Jacob, and Dan Jacob; her aunt and best friend Virgie Menge ; special cousins Penny (Dave) Schmerbach, Jill (Kenny) Lewis and Carla Menge, along with several great nieces, great nephews and cousins. She was preceded in death by her parents; her husband; sisters Patricia Purvis and Donna Jacob; niece Lori Jacob; nephew Jimmy (Teri) Jacob; several aunts and uncles; and a cousin Kenny (Carla) Menge. The family request no flowers. Memorials may be made to hospice in Char’s name.